Silver and Sparkle are so excited! They’re playing in the snow for the first time. The whole world looks so beautiful and clean that Sparkle thinks it’s like walking in the clouds! The curious little deer create snow patterns, and have fun sliding down the snowy hill. 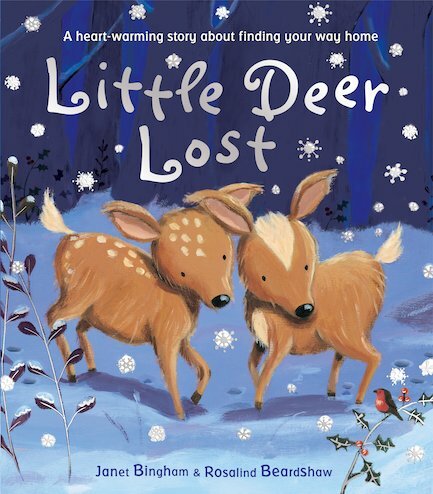 But everything looks the same coated in a glittering white blanket – and soon these little fawns are lost! A gentle story of being lost and found, with charming artwork by a Kate Greenaway Medal nominee.